We are the leading manufacturer, supplier & exporter of automobile tyres and tubes. 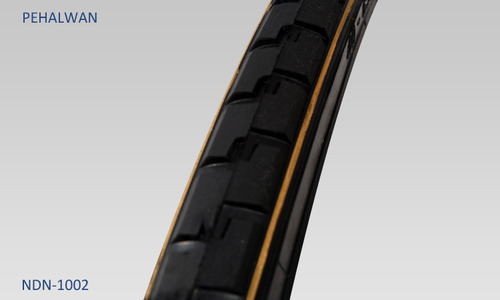 Dealing with best quality of Bicycle Tyres. Backed by the most up-to-date techniques of production, we have made a distinct position for ourselves in the domain of manufacturing, exporting and supplying various types of Agricultural and three wheelers tyres. In addition to this, we also supply a qualitative range of Motor Cycle Tube. As a quality conscious undertaking, we always make certain that the factor inputs used by us are of the finest grade in order to deliver flawless range at clients’ end. This unperturbed focus on quality has helped us in earning goodwill of the market and has expanded our clients’ base to a great extent. With a modern fabrication department, we are competent in manufacturing the finest quality product. The wide knowledge base of our team members helps us in tailoring our products in compliance with the various requirements of customers. Further, we have a well-equipped fabrication unit that enables us to fabricate our assortment in bulk quantity within the specified time frame. In addition to this, our cost effective pricing policy, on-time delivery of consignments and client-centric approach also help us in attaining complete customer satisfaction.